Saturday & Sunday by appointment . 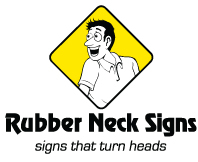 © 2015 Rubber Neck Signs. All Rights Reserved.